Acupuncture supports, strengthens and guides the body towards health and wellness. Research studies have proven that it also supports to body to prevent against future illness and disease. Practitioners of this ancient medical system experience much clinical success in treating a wide variety of health issues. 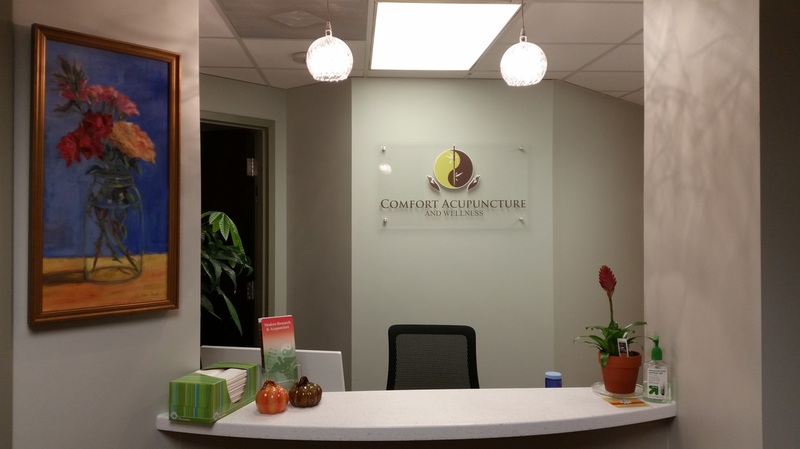 At Comfort Acupuncture, LLC, we take our time to go over your full medical history and customize a treatment plan that caters to you. Through nutrition counseling, lifestyle changes, acupuncture and herbal medicine we make sure you have the best chance possible towards a happier and healthier body. Our office is located in the West End and services the Richmond, Chesterfield, Midlothian, Mechanicsville, Powhatan, Short Pump, Goochland and West End areas. Call us today to find out more information. Our office will be closed from 3/29/2019 - 04/07/2019. We will reopen with normal business hours on 04/08/2019. We will have limited access to phone and email. Please free to contact us via text at (804) 592-0853 or by email at comfortacupuncture@gmail.com. To make or reschedule appointments, please feel free to use our online scheduler via the link below. For your convenience, you now have the option of scheduling new or return appointments online! Our acupuncturist, Satori Poch was selected to practice at Parham Henrico Doctor's Medical Campus! HCA's Henrico Doctor's Hospital is a pioneer for recognizing the benefits of alternative and holistic medicine and we are excited to be a part of their wonderful medical campus. This is the first of many great leaps for Chinese Medicine! We are located at Parham Henrico Doctor's Medical Offices. Our address is MOB I, 7660 E. Parham Road, Ste 104-A, Richmond, VA 23294. Curious whether you may benefit from acupuncture and Chinese medicine? Call us today, at (804) 592-0853 to schedule a free 15 minute consultation over the phone or in person. Check out our reviews on Google, Yelp and Angie's List! Thank you to our many loyal patients for your referrals and reviews! We are always looking for ways to improve our services. Please feel free to let us know if there is anything we can do to serve you better.